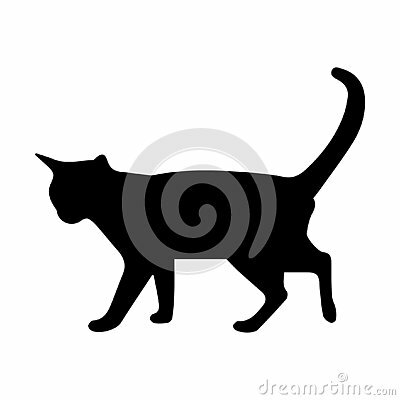 Vector illustration of cat silhouette on white background. Element for design. Cute cat cartoon with Meow lettering. Heads of smiling cat and skeletons of fish. Funny seamless pattern. Vector illustration.